Even the vast knowledgebase can't protect support staffs or the agents from the most common questions coming up again and again by the customers. This force agents to reinvent the wheel for the same set of questions which results in inconsistent replies and wasted queries. Save agent's time by creating some pre-formatted reply templates to common queries- Saved Replies that helps the agent to answer the question within a single click. For the next time, any customer asks a question - How to reset a password, the agent can quickly pop out a saved response for that issue and focus on other things that really matter. On the Dashboard, you will see "PRODUCTIVITY" menu and under it, you will find "Saved Replies". Click on the "Saved Replies" Icon and then you will be redirected to a new page. 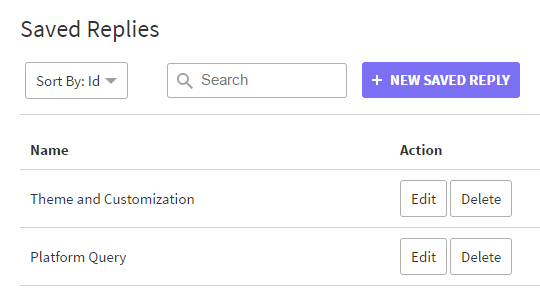 In the new page, you will see a list of existing Saved Replies and "New Saved Reply" button. Hit the "New Saved Reply" button and then you will see a page for creating a new Saved Reply. 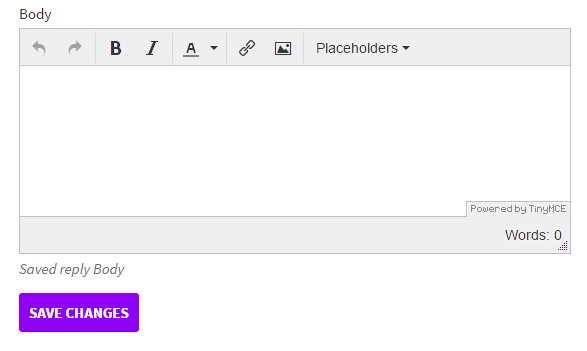 Enter the Name, Groups, Teams, content and select the placeholder. 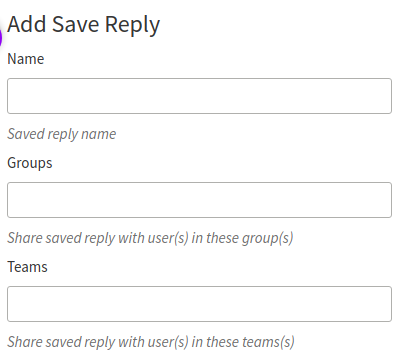 After that, click on "Save Changes" to save information and create a saved reply. You can also sort the Saved Replies by Id, Name, and search any saved Reply by any keyword also.